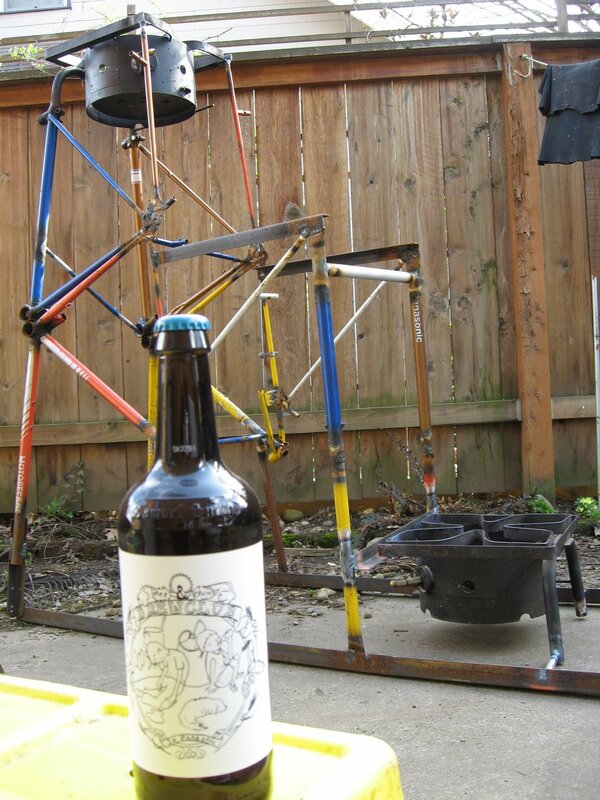 The folks at C.H.U.N.K.666 have welded retired bicycle frames into a three tier home brewery. Why didn’t we think of that? This entry was posted on Saturday, July 12th, 2008 at 10:12 am and is filed under Uncategorized. You can follow any responses to this entry through the RSS 2.0 feed. You can leave a response, or trackback from your own site.